The race resumed with now six racing laps to go. Ilott put up a robust defence to hold off both Joel Eriksson and Sascha Fenestraz but the Swede found a way past with five laps to go. 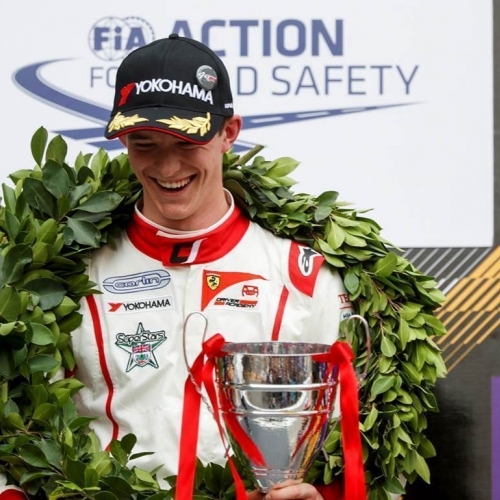 Ilott then withstood further pressure from Fenestraz, setting a personal best lap in the process, before the flag fell and Ilott secured another podium, his third at one of the most difficult tracks to master. “It was good to be back on the podium. 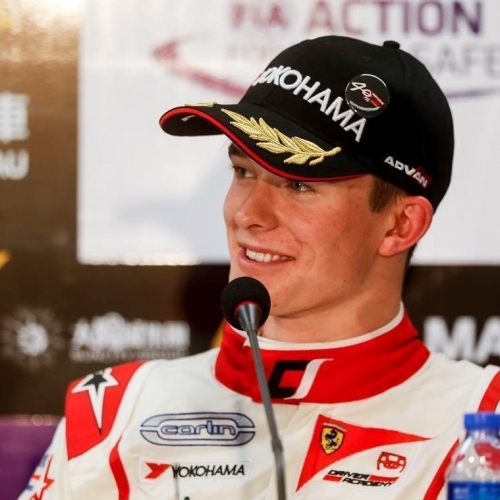 We lacked a bit of speed but with changes planned to the car, I felt all was to play for on Sunday,” claims Ilott. 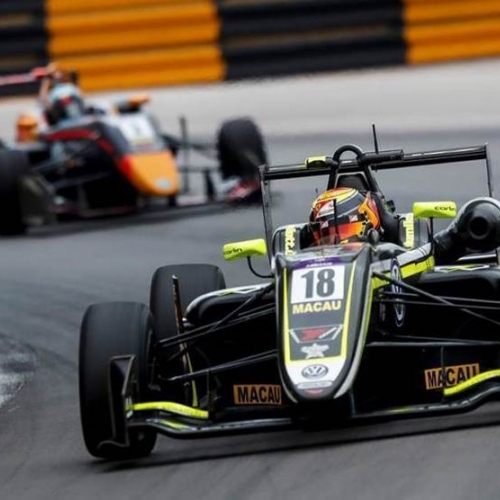 Sunday’s Macau Grand Prix saw Ilott make a less successful getaway. On the long run to Lisboa, Ilott was able to move into fourth but was hemmed in on the outside at the righthander and slipped back to fifth. Ilott then ran side by side with Mick Schumacher in the mountain section before getting ahead of the European champion. “I bogged down at the start and was trying to find some space, ending up on the outside. It was very close with Mick but it was clean from both sides,” adds Ilott. 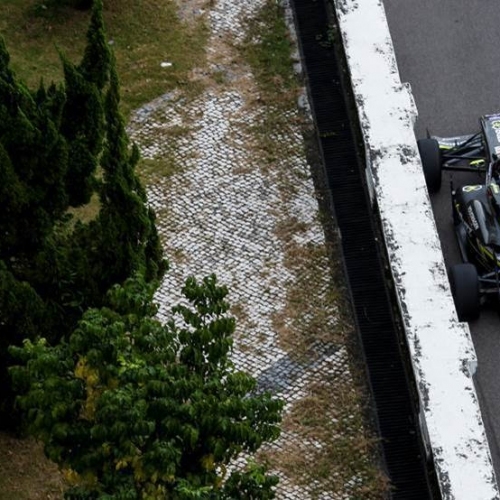 The race was then stopped after a serious accident involving Sophia Floersch, that led to a lengthy delay to repair the barriers and catch fencing. “Everyone was concerned about Sophia and those behind the barrier,” says Ilott. 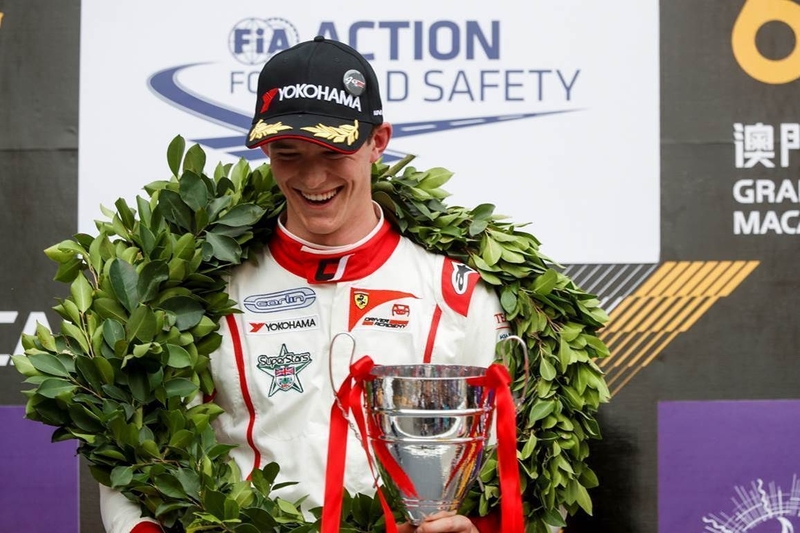 “My thoughts are with her, the marshals, photographers and everyone else involved,” The race was restarted with nine laps to go and Ilott fell down to seventh on the run down to Lisboa. 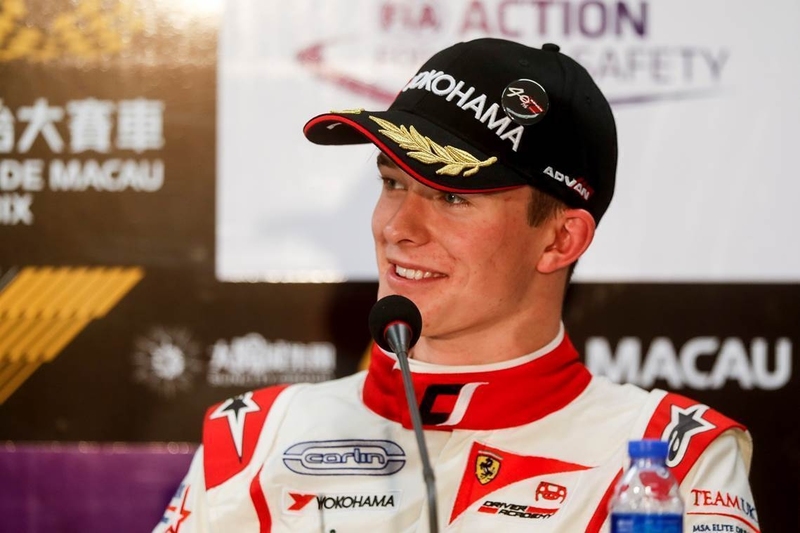 Ilott now heads directly to Abu Dhabi to conclude his GP3 season where he currently lies third in the standings, his highest championship position in cars.